www.Property-Bourgas.com is a large collection of houses, apartments, plot, agricultural land pieces and commercial propertis along the Black sea coast, Burgas region. The new project of Best Bulgarian Estates Ltd exposes a list of selected properties and features articles on realty sales in one of the most attrctive reagions in Bulgaria. 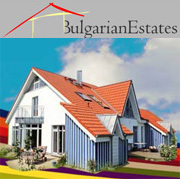 Burgas and Black sea properties and Real estates in Bulgaria. Buy property in Bulgaria with Bulgarian Property Advisors Ltd, cheap houses, off plan apartments, properties, land and real estate for sale in Bulgaria. Property in Bourgas, house in Bourgas, Apartments and New development Bulgarian estates Ltd | Bulgaria property estate agents- property for sale in Bulgaria. » Living area: 23.47 sq.m. We are offering for sale a lovely studio with a sea view in the complex Aquamarine, Sunny Beach, Bulgaria. » Living area: 46 sq.m. Two-bedroom apartment for sale is hidden among calmness and beauty in the seaside village of Lozenets, Bulgaria. » Living area: 108 sq.m. » Living area: 51 sq.m. Two-storey house is for sale in the village of Novo Panicherevo – 28 km from Bourgas, Bulgaria. » Living area: 105 sq.m. For sale is three-storey house located at the quarter of Banevo in Bourgas, Bulgaria. » Living area: 160 sq.m. » Living area: 810 sq.m. We are offering to your attention completely furnished one-bedroom apartment for sale with sea view at the seaside town of Chernomorets, Sozopol Municipality, Bulgaria. » Living area: 54 sq.m. » Living area: 48 sq.m. Studio for sale located 50 m from the beach at the luxury complex “Vigo beach”, Nessebar, Bulgaria. » Living area: 49 sq.m. » Living area: 115 sq.m. 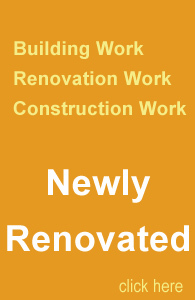 For sale is two-bedroom apartment with an additional basement room - bonuses - and garden of 250 sq. m with parking in Sarafovo, Burgas, Bulgaria. » Living area: 122 sq.m. Unique luxury penthouse is for sale at the sea coast – Kavatsite, Sozopol, Bulgaria. » Living area: 390 sq.m. For sale is a studio in Sarafovo quarter, Bourgas, Bulgaria. » Living area: 30 sq.m. » Living area: 100 sq.m. great reasonable bargain. Cheap, fully furnished, two-bedroom apartment for sale in Sunny Beach, Bulgaria. » Living area: 65 sq.m. » Living area: 74 sq.m. For sale is one-storey house located at the adorable Bulgarian village of Dulevo, only 25 km from the town of Bourgas, Bulgaria. Large one bedroom apartment is for sale with amazing sea view, located close to the center of the town of Chernomorets, Bulgaria. » Living area: 78 sq.m.